Two necessary features of a metapopulation have already been established here: that individual subpopulations have a realistic chance of experiencing both extinction and recolonization. To this we can add a third, which has been implicit in the discussion thus far. The dynamics of the various subpopulations should be largely independent, i.e. not synchronous. There would, after all, be little hope of stability if when one subpopulation went extinct they all did. Rather, asynchrony guarantees that as one goes extinct (or even declines), there are likely to be others that are thriving and generating dispersers, promoting the 'rescue effect' (Brown & Kodric-Brown, 1977) of the former by the latter. (and roughly equal) chance of extinction, but in other cases there may be significant variation in either the size or quality of individual patches. Thus, patches may be divided into 'sources' (donor patches) and 'sinks' (receiver patches) (Pulliam, 1988). In source patches at equilibrium, the number of births exceeds the number of deaths, whereas in sink patches the reverse is true. Hence, source populations support one or more sink populations within a metapopulation. The persistence of the metapopulation depends not only on the overall balance between extinction and recolonization, as in the simple model, but also on the balance between sources and sinks. In practice, of course, there is likely to be a continuum of types of metapopulation: from collections of nearly identical local populations, all equally prone to extinction, to metapopulations in which there is great inequality between local populations, some of which are effectively stable in their own right. This contrast is illustrated in Figure 6.17 for the silver-studded blue butterfly (Plejebus argus) in North Wales. Just because a population is patchily distributed, however, this does not necessarily make it a metapopulation (Harrison & Taylor, 1997; Bullock et al., 2002). First, a population may be patchily distributed, but dispersal between the patches may be so great that the dynamics of the individual patches are no longer independent: a single population, albeit occupying a heterogeneous habitat. Alternatively, patches may be so isolated from one another that dispersal between them is negligible: a series of effectively separate populations. Finally, and perhaps most commonly, all patches may simply have a negligible chance of extinction, at least on observable timescales. This means that their dynamics may be influenced by birth, death, immigration and emigration - but not to any significant degree by extinction or recolonization. This last category comes closest to being a true metapopulation, and there can be little doubt that the title has been given to many patchy populations fitting this description. Of course, there can be a danger in being overprotective of the purity of definitions. What harm can there be if, as interest in the metapopulation concept grows, the term itself is extended to a wider variety of ecological scenarios? Perhaps none - and the spread of the term's usage to populations originally beyond its reach may, in any case, be unstoppable. But a word, like any other signal, is only effective if the receiver understands what the sender intends. At the very least, care should be taken by users of the term to confirm whether the extinction and recolonization of patches has been established. ization by dispersal, a prerequisite for a true metapopulation, is extremely rare. Moreover, as Bullock et al. (2002) point out, of the plant studies that have documented patch extinctions and colonizations, the vast majority have been in recently emerged patches (the early stages of succession, see Chapter 16). Extinctions mostly occur when the vegetation in a patch develops to a state where it is no longer suitable for the plant species in question, and that patch is therefore also not suitable for recolonization by the same species. 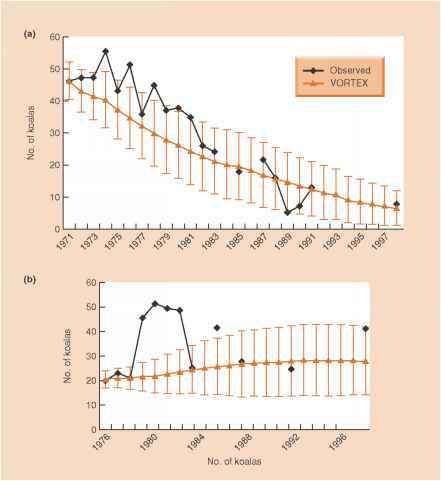 This is 'habitat tracking' (Harrison & Taylor, 1997) rather than the repeated extinction and recolonization of the same habitat that is central to the concept of a metapopulation. 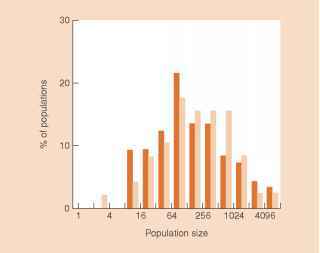 How to distinguish a metapopulation from a patchy population?